Once your kitted out with farm boots, go for a stroll down to the chicken coop to collect some fresh eggs and gaze into the amazing eyes of the alpacas while you feed them. Then take a ride in Julie’s 6 seater ATV to help feed and walk amongst the Highland Cattle and watch them play. 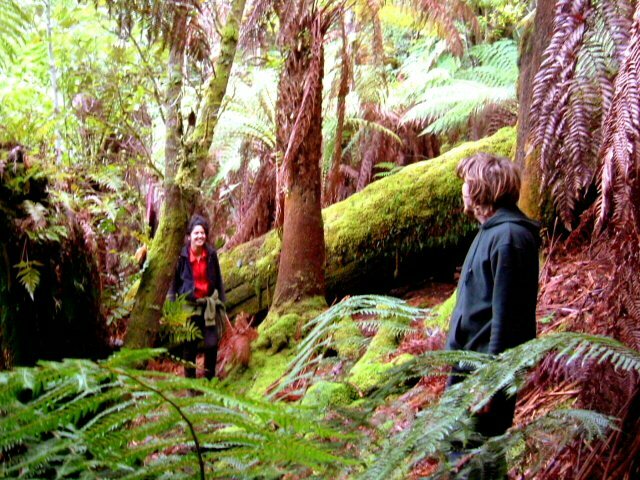 Its an awesome experience Then go for a tour down to the dam and the boat house and look out over the Huon River. The country side is breath taking and the animals are incredible to watch, you’ll love it. OPENING SOON: We are expecting tours to be available from 1 October. ​The property is named “Highland Getaway’, not for the altitude but for the Highland Cattle roaming just outside your window, this is a working farm. Your host, Julie, invites you to join her as she goes about the farm work on the six seater ATV. Tours of the property include feeding the Highland cattle and the lovable alpacas. 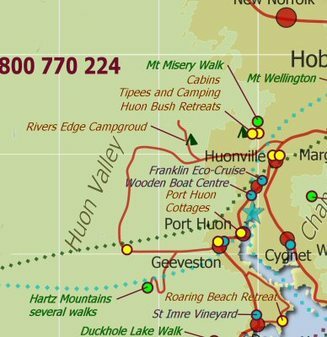 Just 30 minutes south from Hobart, a great base for the first night or two of your Huon Valley Escape. After your farm tour, settle into your private spa or cinema suite. wo Mid-price BnB farm stay rooms are right onsite at Highland Getaway. 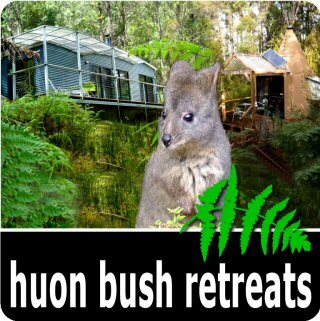 Self-contained cabins, Eco-positive, Protected forest and wildlife. Private and tranquil, Mid Price. Most people with a moderate level of fitness will complete this walk in around 3-4 hours including breaks. The restaurant has won numerous awards for its delicious menu, with lunch served between 12pm – 3pm most days (please check days on website). 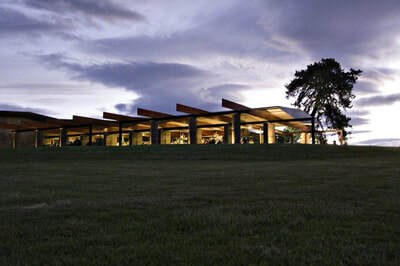 The cellar door is open for tastings 7 days a week from 10am to 5pm.